All artwork is open source from The Battle For Wesnoth (wesnoth.org). 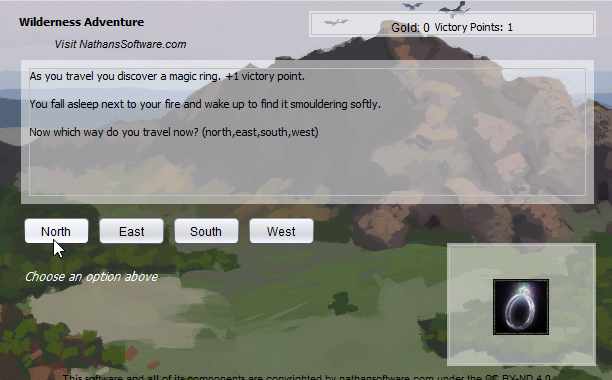 The Wilderness Adventure RPG is a randomly generated adventure game. In this game you are shown buttons which allow you to travel and take actions. Explore the countryside and search out settlements and treasures. Fight wild animals and worse… ! 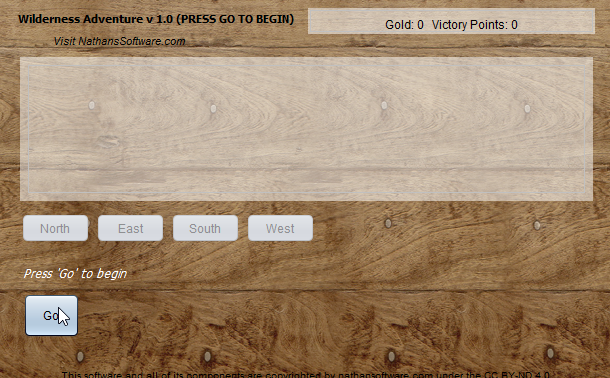 The aim of the game is to reach 10 Victory Points.